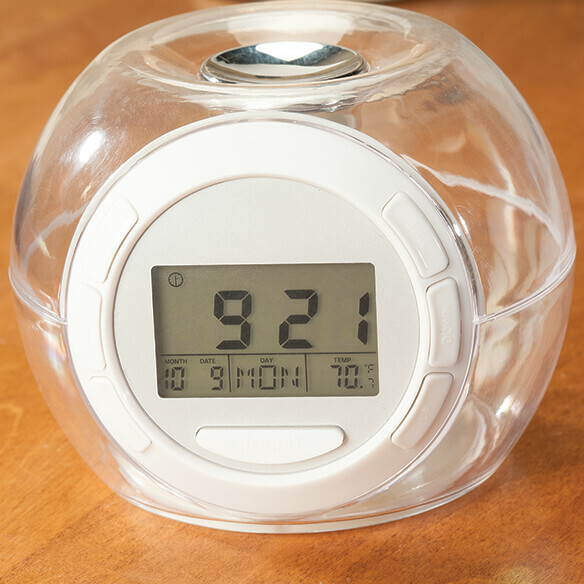 Start and end each day in soothing comfort. 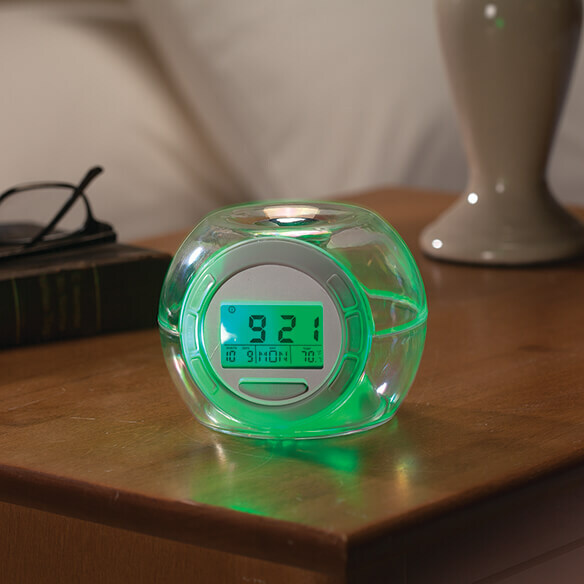 The Sleep Machine - Soothing Sounds & Alarm Clock allows you to choose from 6 nature sounds, complete with snooze button and easy-to-read display with time, date and current room temperature. 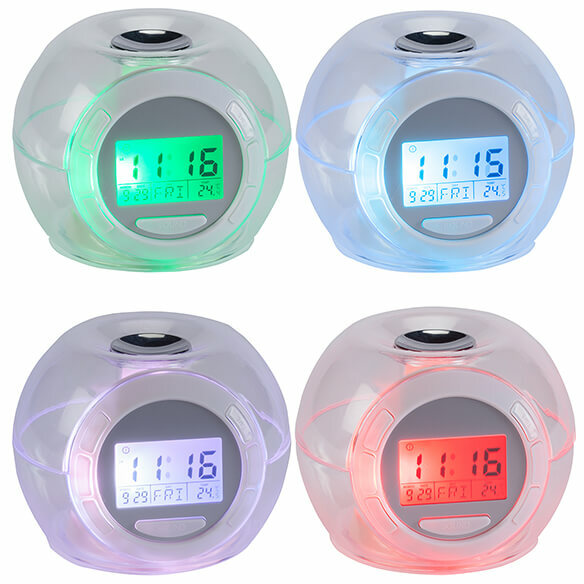 At bedtime, wind down with the sounds timer and color-changing background. Sound choices include farm animals, cuckoo call, flowing water and bird call, frog sounds, flowing water, or set it to cycle all sounds. Have use similar machines in the past find them very comforting and makes it easier to sleep when there are loud people around you. 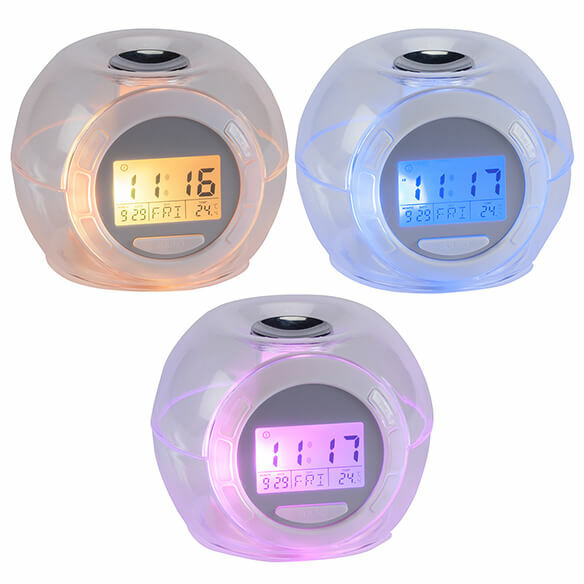 Color changing and easy to see..
How do I pick my favorite color of my alarm clock? BEST ANSWER: Thank you for your question. The color changes as you use it. We hope this information will be of help to you.